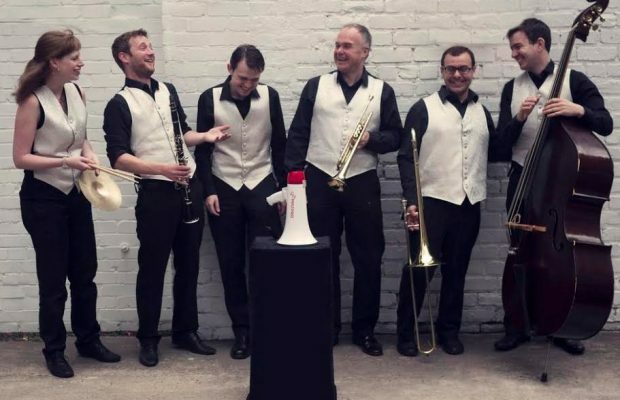 Hire a wedding band in North Yorkshire from Function Central, and you can be sure you'll be getting talented, professional and reliable musicians who will make your event extra special. We’ll make sure you get the best value, too: if another agency offers you any of our acts at a cheaper price, we’ll match their offer! Our North Yorkshire wedding bands play in York, and throughout the county, at venues such as Hazlewood Castle, Swinton Park and Newby Hall. They've also played in most other major towns including Middlesbrough, Harrogate, Scarborough, Redcar, Thornaby-on-Tees, Acomb, Ingleby Barwick, Yarm-on-Tees, Selby, Guisborough, Northallerton, Ripon, Knaresborough, Skipton, Whitby, Richmond, Norton, Pickering, Tadcaster Bay and Pickering. Our most popular band for hire in North Yorkshire is a rock, pop or soulcover band. They play reliable classics that everybody loves, as well as unique and quirky takes on modern chart toppers. For something different, how about hiring York ceilidh band or jazz band? Don’t worry if your budget is limited or your venue is small – our bands can adapt to your requirements, whether your wedding is in York Minster or on the Yorkshire Moors! For a romantic accompaniment to your wedding ceremony, choose from our selection of harpists, Spanish guitarists and string quartets. Our wedding music in North Yorkshire ranges from Rat Pack tributes to jazz bands to classical string quartets, with something to suit every occasion and pocket. Elegant and dynamic jazz band with a classy repertoire of jazz standards with an optional female vocalist if desired. Smaller and larger instrumental ensembles are available to cater for the setting. Lively and experienced rock and pop party band delivering high quality entertainment for weddings and parties! Afternoon sets, DJ service and additional musicians also available.